People often wonder why they get so many colds in the cooler weather. The answer is that viruses generally like weather that’s cooler and drier and, ironically, they can spread more efficiently because people stay indoors more and more with family members and co-workers. But there are ways to cut down on the risks of colds and flu. Some of those ways involve vitamins, especially those that support the immune system. Some vitamins for fall are:Vitamin C Vitamin C is notorious for lowering the risk of a person catching the common cold. It can also shorten the time a person has a cold if they catch one. 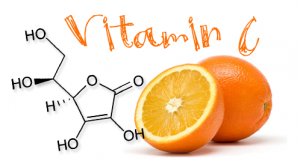 Vitamin C is an antioxidant, which protects the cells in the body from the ravages of free radicals. These are oxygen molecules with unpaired electrons. These molecules grab electrons from other molecules and damage them. Vitamin C is one of the vitamins that gives an electron to the free radical, thus preventing cell damage.Besides fighting common colds, Vitamin C also fights bacterial infections and some substances that produce allergies. This is good news for people who suffer from fall season hay fever from the pollen of plants like ragweed. Vitamin C is water soluble, which means that the body uses as much as it needs and excretes the rest. Since cold weather is a stressor, people will need and use more vitamin C as the temperatures go down. B Vitamins Some people find that as it gets colder and they have to wear more layers of clothing, they’re subject to skin problems like eczema, dermatitis or dry skin. Biotin, one of the B complex vitamins, helps to guard against these conditions. So does Vitamin B6, which also guards against the common cold. Vitamin D Vitamin D is a form of cholesterol that can be obtained just from going out into the sun for a few minutes each day. It’s one of the only vitamins that human beings can produce, and it also guards against allergies, bronchitis, the common cold, eczema and general stress. Vitamin E Vitamin E is an antioxidant and helps the body fight viral infections. In some cases, it’s actually been used as a flu vaccine. Some medical experts have found that taking high doses of Vitamin E helps the body build an immunity against the flu. Applied topically, it eases dry, itchy skin. These vitamins can do a great deal in helping a person get through the colder seasons. When shopping for vitamins, you might find it useful to know that you can help a child in need with every vitamins or supplements purchases at Walgreens. Millions of children around the world are suffering from ‘hidden hunger’, a lack of micro-nutrients that can lead to disease and even death. In fact, 45% of all childhood deaths are attributed to under-nutrition. Walgreens is giving a portion of all vitamin retail sales to Vitamin Angels to help 100 million children in the U.S. and abroad get the vitamins they need to live well. My partner used to get horrible eczema in the winter. He started taking Evening Primrose Oil and within about 6 weeks, the eczema was all but gone. He doesn’t get it anymore and takes EPO regularly. Worth researching for yourself. I take it for hot flashes. I will have to try this out myself, thank you!